Instagram: the magical social media app that turns every person into a photographer. With fancy-named filters like Inkwell, Earlybird and Nashville, you can make any photo look professional, whether it is of a tree or washing machine. Add some song lyrics or a quote from a dead president and BAM you are an artist. Squareready is an app described “for all Instagram lovers” on the Apple App Store. It allows you to fit any picture into the square box size needed for Instagram. That way, you do not have to crop tall or wide photos. It also allows you to add frames or change the background color. Afterlight is a photo-editing app with many filters and frames that Instagram does not have. It has basic editing functions such as rotating and cropping, but also options such as changing the screen resolution and putting your photo inside a shape, such as a star or heart. These shapes grab your attention because they are different from the usual squares found on Instagram. A Beautiful Mess is similar to Afterlight and Squaready because of its unique filters and ability to fit large photos. What really makes this paid app stand out is its feature of text, doodles, and phrases. It allows you to write on the picture in a variety of fonts. You can also insert preset words and phrases such as “hello” and “OMG!” It is a great way to show your friends how you feel about the picture in a creative way. Pic Stitch is an app I have been trying to find for a while. 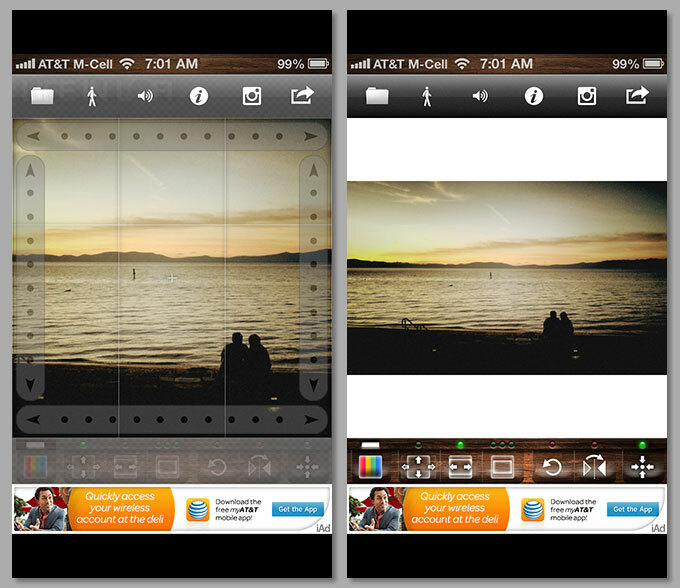 It allows you to put multiples pictures into framed collages to post to your Instagram. With this free app, you have access to 232 different framed options. Pictures tell a story, and with multiple frames you do not have choose one scene. Hopefully these apps help you on your quest to become the next great iPhone photographer or if you are lucky, “Instafamous.” Check out how I am experimenting with these new apps on my Instagram profile: annabeth4. Happy editing!